Songs I have been listening to many of David’s ‘live’ concert performances on my i-Pod lately. Since it may be awhile before we fans have the chance to experience David in concert again, I am enjoying all the songs I have accumulated since David was on American Idol‘s Season 7. I have also been fortunate to get songs from various concerts David has performed over the last year that were converted to mp3 format. I have put those songs on my i-Pod as well! I love all these performances of David’s. Honestly, he sounds better to me when he is singing ‘live’. He has such an incredible ability to put his emotions into the songs. Add the comments he makes to his audience of fans and their reaction to him, and these ‘live’ performances are incredible to listen to. One of my favorite songs that David sings has always been a song that I loved even before I heard David’s version. It is a beautiful love song and the words are really very poetic. When I first heard David sing it, well I was just blown away! Truly, I like his version better than the original. It is David’s voice that brings the song to life and he does it so beautifully. “I’ll Be” is a song written and sung by American Alt-Rock singer–guitarist Edwin McCain. The song was released as the first single from his second album, Misguided Roses, which was released in 1998. “I’ll Be” ended up being a success for McCain in the United States, peaking at #5 on the Billboard Hot 100 after debuting at #7 on the issue dated September 26, 1998. While it was only his second single to chart, it became his first and only Top 10 hit and his biggest hit to date. “I’ll Be” was featured on A Cinderella Story, Original Soundtrack, music from the 2004 movie starring Hilary Duff and Chad Michael Murray, as well as the movie, Family Man, starring Nicolas Cage. It was also featured prominently in the Season 1 finale of the hit TV show Dawson’s Creek in 1998. Here is the original song, “I’ll Be,” as performed ‘live’ by Edwin McCain. Such a beautiful song! The first time I heard David sing “I’ll Be,” it was from a video of a Murray High School performance he did before he tried out for American Idol. He must have been 15 or 16 at the time. Even back then he could wow his audience! 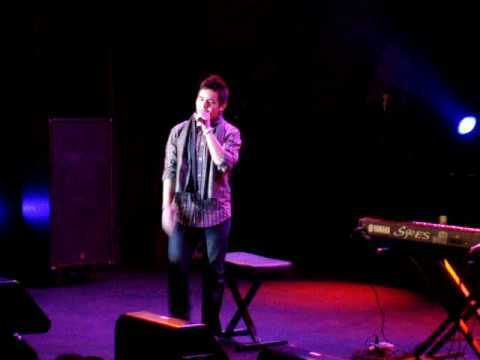 David singing “I’ll Be” a capella at the Hard Rock Cafe in New York City, January 2009. All I can say is his voice is powerful and beautiful and he makes it look so easy! 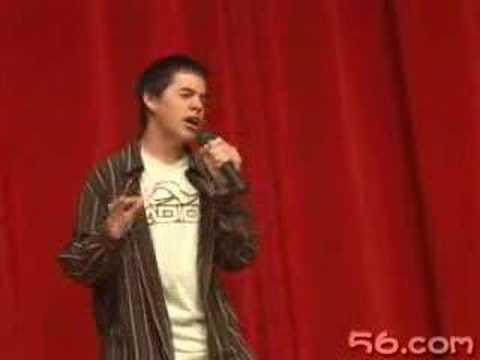 Listen to him talk to the audience about what he should sing…love it! David singing “I’ll Be,” full song version, from his Rockville concert in August 2009. Love this one, so incredible the way he makes this song sound better. Tuned in, turned on, Remembered the things that you said. Have a nice week everyone, and as always, take care! “I’ll Be” is the perfect kind of song for David. He really does enjoy singing it. Thanks for all the vids!